TMD sometimes is short for Temporomandibular Joint Syndrome or Disorder. Your temporomandibular joint (TMJ) connects your temporal bones to your jaw and allows you to speak, eat, and yawn. TMD is known to cause excessive pain and discomfort and can last for long or short periods of time. There are many possible symptoms, including pain when you use your TMJ, lockjaw, clicking or popping in your TMJ when you open and close your mouth, and swelling. In this post we will look at the causes for TMD and how to treat it. 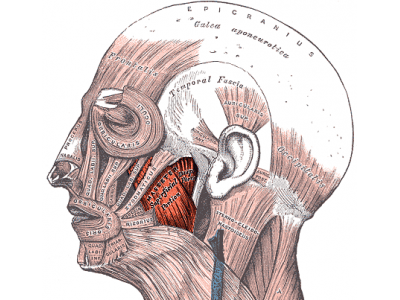 There is not a proven cause of TMD, but dental professionals have determined that symptoms occur because of issues with the muscles around your jaw and with the TMJ itself. Injuries derived from a hard hit or whiplash, grinding of your teeth, arthritis in the jaw, and stress are all known to cause temporary or persistent TMD. There is no miracle cure for TMD, but there are definitely things you can do yourself to help eliminate pain and discomfort associated with TMD. It’s important to check with your doctor before you begin any regimen to combat your TMD. Anti-inflammatory medicines like ibuprofen will help to reduce swelling and alleviate pain. You can also use hot or cold packs on the temple area of your face in conjunction with stretching your jaw. If hard foods seem to cause pain, try eating softer foods that don’t require hard biting. You may also want to skip foods that need to be chewed excessively. If your TMD is severe or these home remedies do not work, your dentist may suggest certain medications, a splint or mouth guard, or dental work. At Halonen Family Dentistry, we have been a trusted dental care provider in Battle Creek for over 25 years providing maintenace and emergency dental care services. Our family-owned dental practice has a passion for the community and the experience necessary to provide you with the absolute best dental care. Contact us today to find out more about our office!